I pick you up from your residence at the time you want. First we go to the Taman Ayun Temple in Mengwi, huge state temple of Mengwi Kingdom surrounded by a wide moat, the temple built in 1634. After that we drive to Second stop at Fruit Bats and Monkey Forest (Alas Kedaton), located in Kukuh Village a litle bit west from Taman Ayun Temple, Tabanan regency. About 500 population monkeys in this forest, inside of the forest there is very old temple (Alas Kedaton Temple),big fruit bats hanging in high tree during the day time and will go to outside for feed in the night time. A great experience! 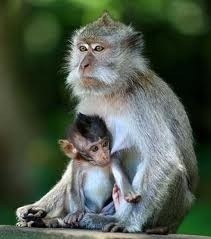 Then we go further to Bali Butterfly Park, after monkey forest will drive a litle bit west through Tabanan town the street to Penebel we will stop at Wanasari Village to see the colony of butterfly. 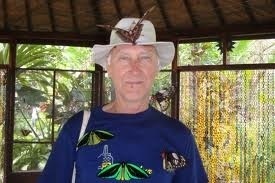 The Butterfly Park colleted many kinds of butterfly import from Java, Sumatra, Sulawesi, Borneo and Irian Jaya. It is great to go into the park if you like. Entrance ticket cost at 50,000/ person. Fourth stop at Batukaru Temple, drive to north passed the Penebel Village we will arrive in Batukaru Temple, the temple located in Wongaya Gede Village. 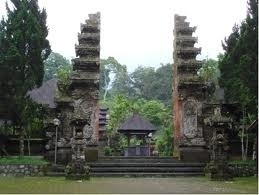 This temple one of important temple in Bali for western direction of Bali. The temple dedicated to the god of Mahadewa. 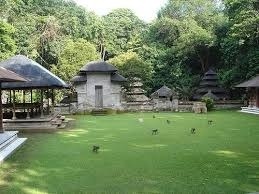 Surrounding of the temple is forest with feacefull and very quiet as the temple lied in slope of Batukaru Mount. The temple has some Meru, the Meru is symbol of the mountain, eastern side built holy spring temple (Beji) and small moat with some small fish. We drive further in this beautifull area. Fifth stop at Jatiluwih Rice Terraces, drive from Batukaru to Jatiluwih Village the most interesting places will see such as very beautifull of rice terraces, coffee plantation, durian trees, cacao, bamboo, avocado and etc. 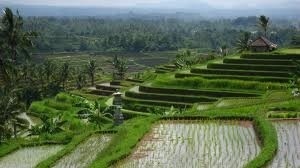 Jatiluwih Village has beautifull and wide of rice terraces and the best rice terraces in Bali island. After harvest season you may see the farmer floughing the field with cow or buffalo, they still use traditional equipment to manage theirs land. 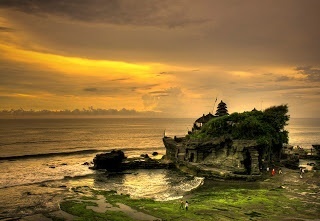 At last we drive to the temple you must see!Tanah Lot Temple, at the end of the trip. 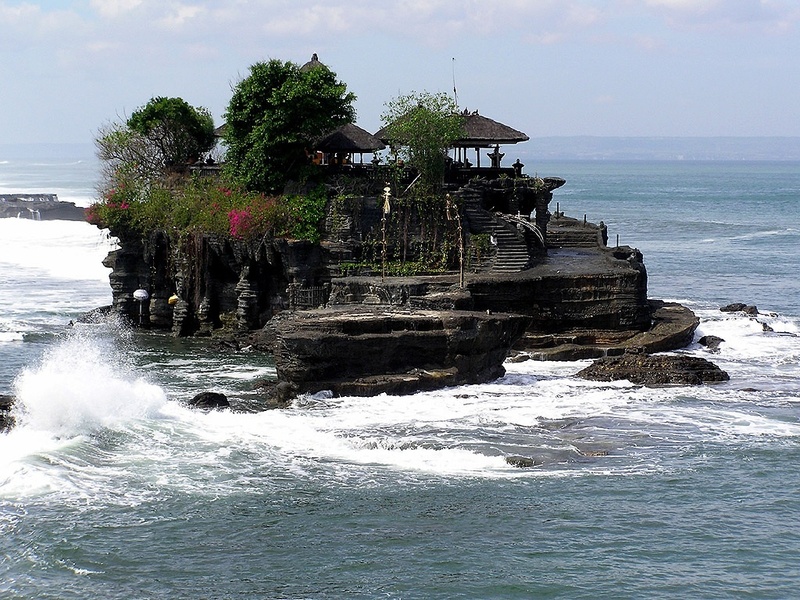 The temple perched on a little rocky islet. 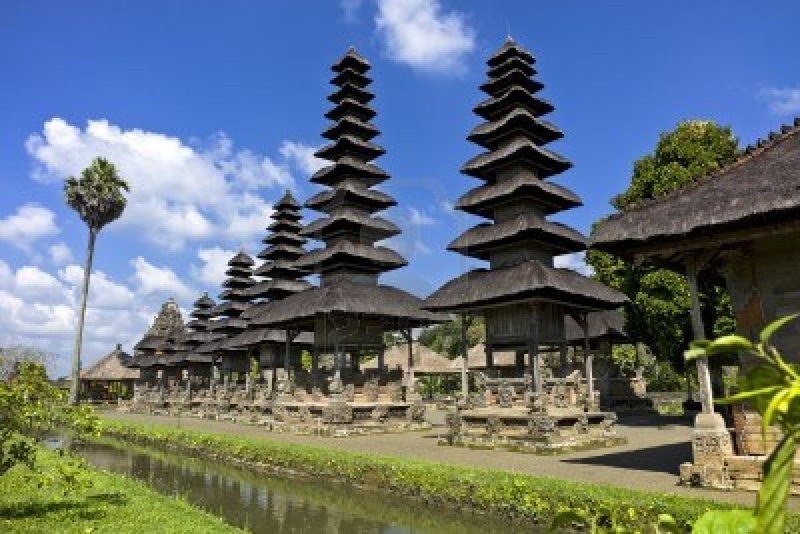 This temple was built in 16th century by the Javanese priest Danghyang Nirartha who built many temple near the sea around the island such as Rambut Siwi Temple in west of Bali, Pulaki Temple and Ponjok Batu Temple in North of Bali. 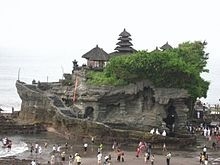 In western side there are small temple built one of teh temple in the top rock with hole it's Batu Bolong Temple, Batu it's mean Rock and Bolong it's mean hole. You have enough time to look around. If you are satisfied, i bring you back to your residence. During all my trips there is enough time to stop and see things or make pictures!